Cycling News are coming up trumps with the Tech photos from the tour already. 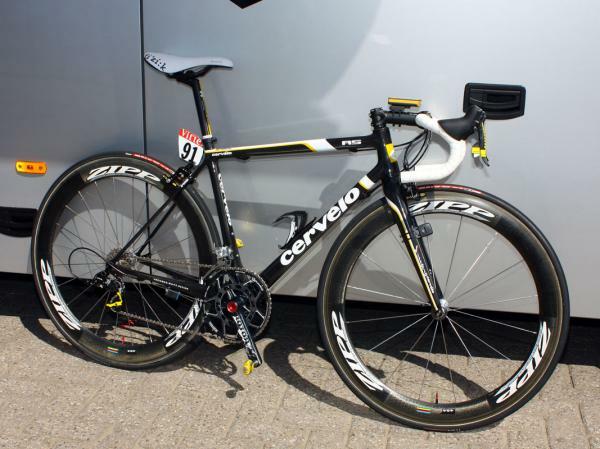 Visit the site to check out Carlos Sastre’s Cervélo R5. If a bike could get any more perfect I’d like someone to send me pictures of it as this is the lick if you ask me. Thanks Euan for pointing this out to me. « La Gazzetta Della Bici’s Jersey update.